In this post I will show you how to get the game up and running on your computer/phone and in the subsequent posts, we will be reviewing various coding aspects of the app. If you are not comfortable with git, you can download the entire project as a zip file from Github and expand it into a local directory. When you run the command(s) shown above, an Xcode workspace file is created. Open the TapMe.xcworkspace file with Xcode (do not open the .xcodeproj). Navigate to AppDelegate.swift and enter the values for your APP ID and IOS API KEY. This assumes you have created an app in Backendless Console. If you have not done that, register/login to Backendless Console and create an app there. You will see the APP ID and IOS API KEY values right on the main dashboard. User Service API – this is used for user registration, login, logout and remembering the logged in user. Data Service API – information about players and their achievements is saved in the database. 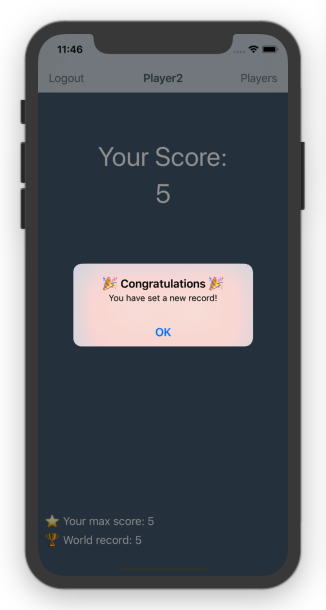 Real-Time Database – all instances of the app are updated when a new user is registered, a user has a new score or when someone establishes a new world record. File Service API – this is used to store user’s profile photo. The data model uses a relationship between the Player and the Users table. A user must register before they can play. The lower part of the user interface displays the maximum scope of the user as well as the maximum score established in the game among all users. The information about the “world score” is updated in real-time. 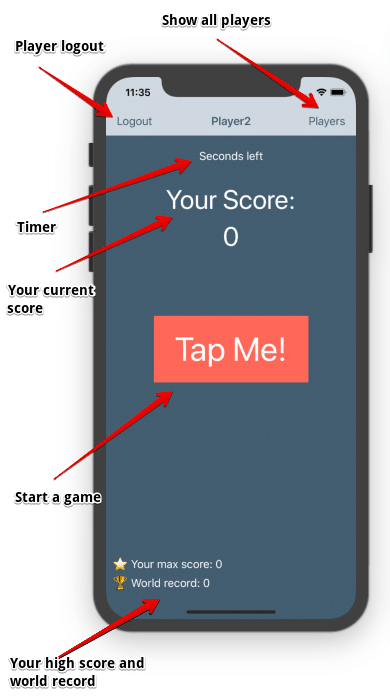 The Players section of the game’s interface displays a list of all users with their scores/taps. That’s all for now. In the next post, we will start diving into the actual code of the game.